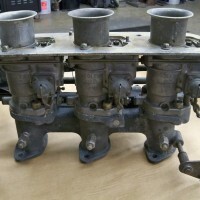 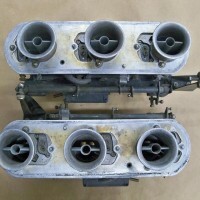 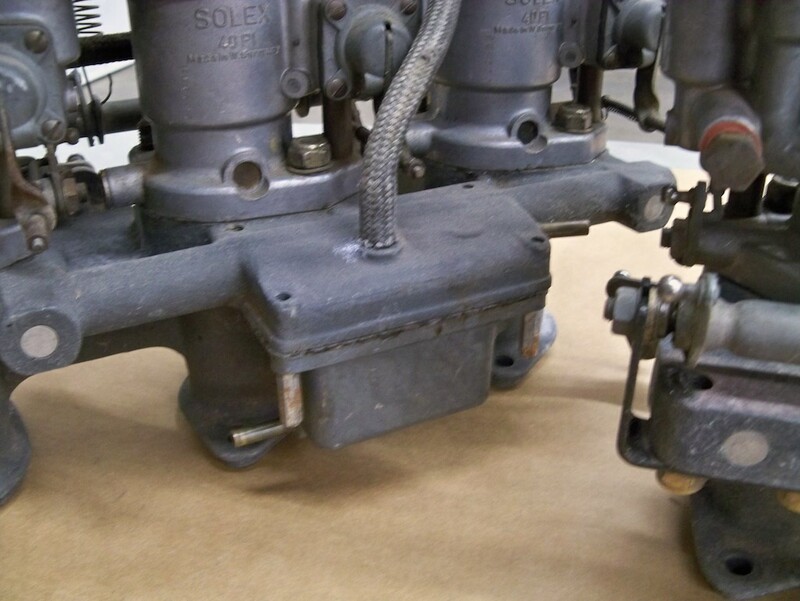 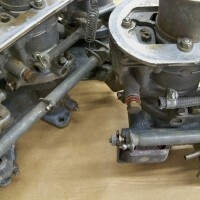 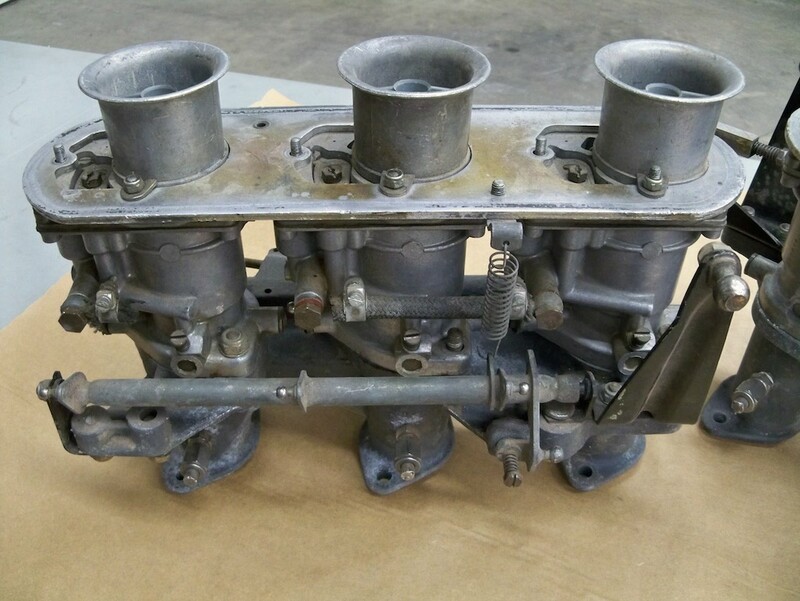 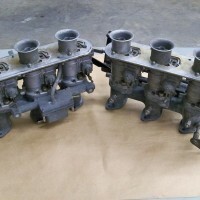 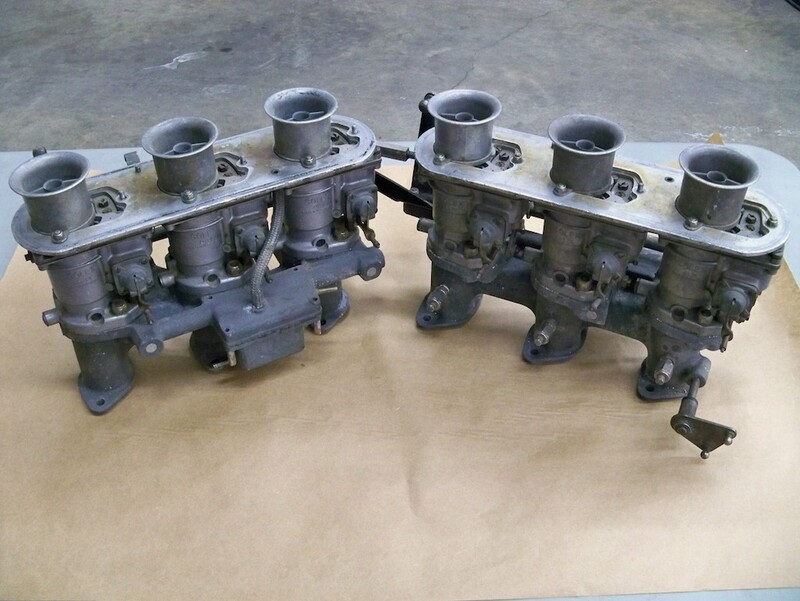 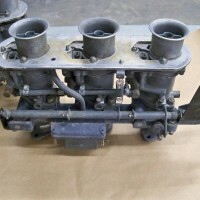 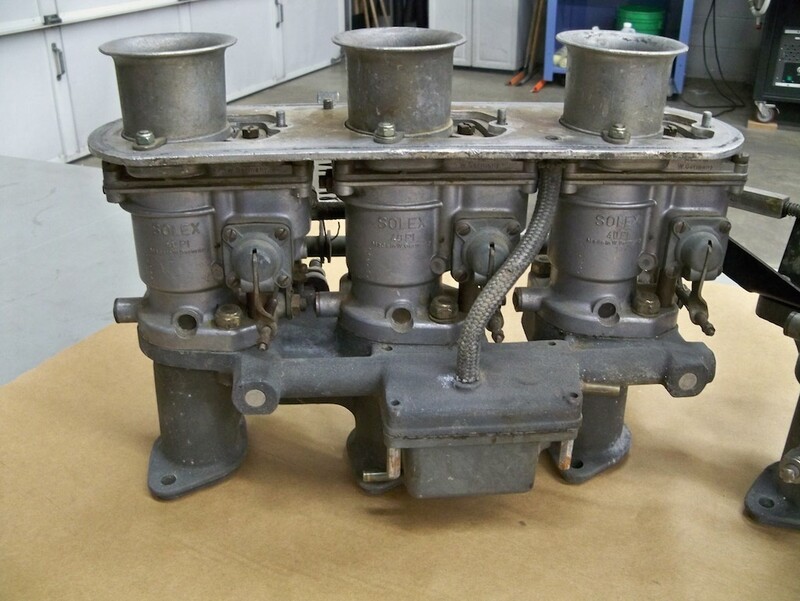 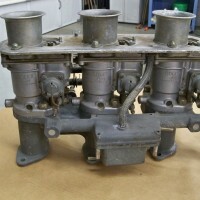 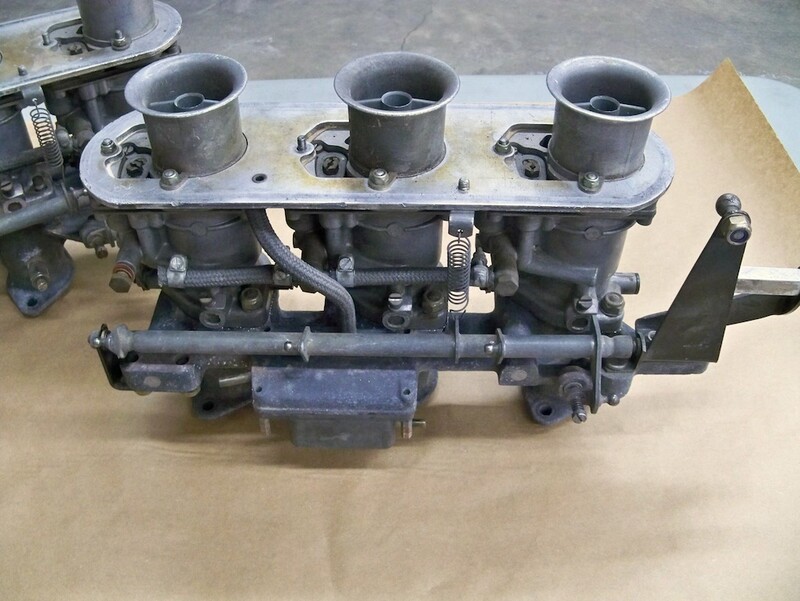 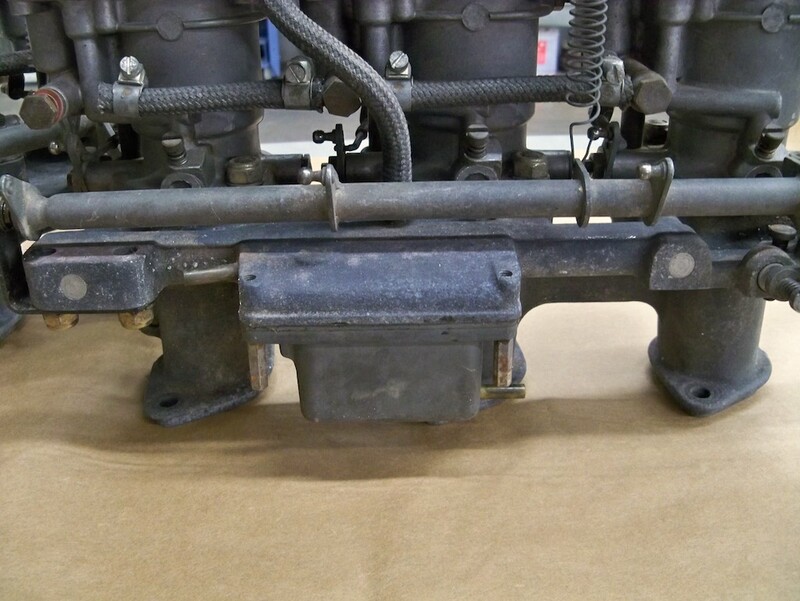 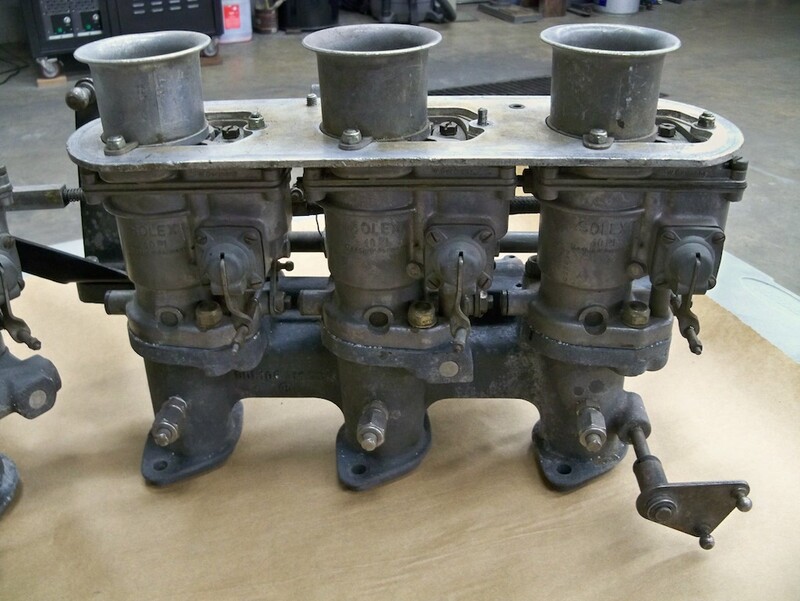 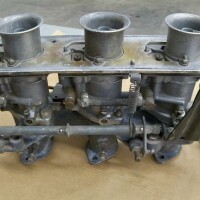 SOLD: Solex 40 PI Carburetors and Manifolds » Specialty Cars Service Center, Inc.
For sale is one pair of Solex 40 PI carburetors with manifolds in good condition. 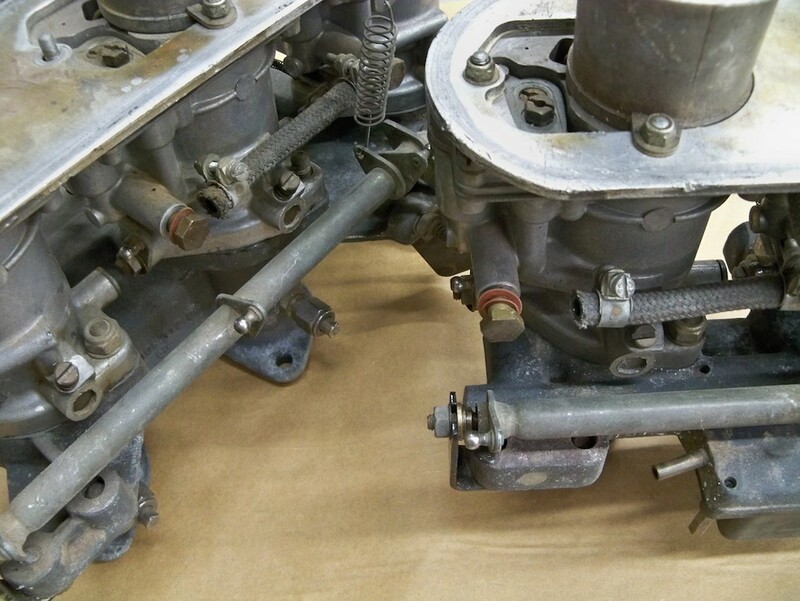 Both carbs are missing their floats, there are also two fuel fittings missing (one on each carb) and the six individual throttle linkages are not included either. 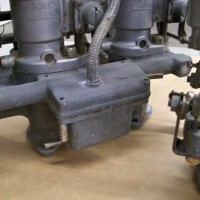 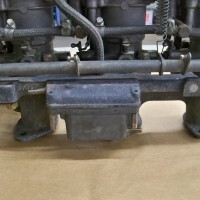 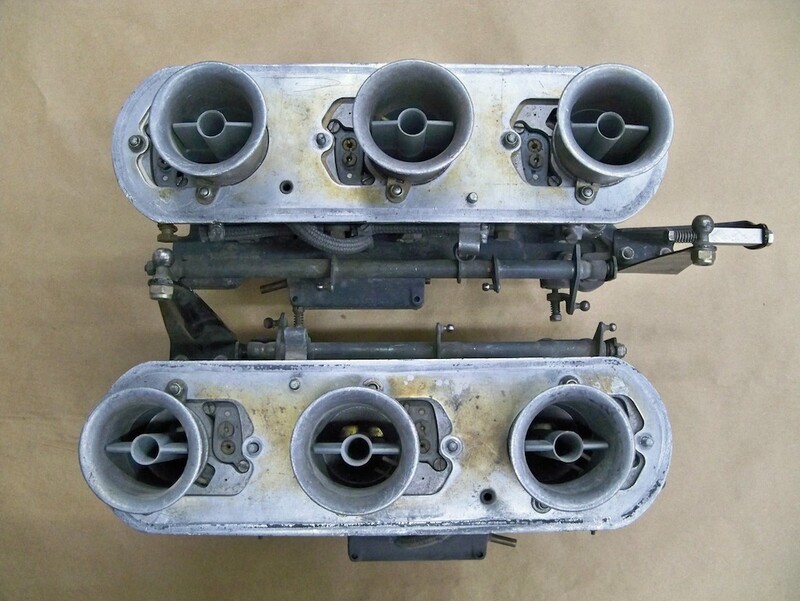 The throttle bodies are free and there does not appear to be any rust or corrosion.